In 1916, cars still rode on unforgiving and uncomfortable carriage springs. After all, early drivers had bigger things to worry about than the quality of their ride, like keeping their cars rolling over the rocks and ruts that often passed for roads. Flat tyres were frequent and service stations were not. Drivers had no choice but to patch and reinflate their own tyres along the roadside. For a young entrepreneur named August F. Meyer, this was an opportunity too great to pass up. It seemed logical to Meyer that, with all those flat tyres, there should be quite a market for tyre pumps. Meyer established the Brisk Blast Manufacturing Company in Monroe, Michigan. Under Meyer’s leadership, Brisk Blast soon became a leading producer of tyre pumps. In 1918 a local Dodge dealer named Charles S. McIntyre became Meyers’s partner and vice president. The company continued to grow and diversify and Brisk Blast became the Monroe Auto Equipment Company. 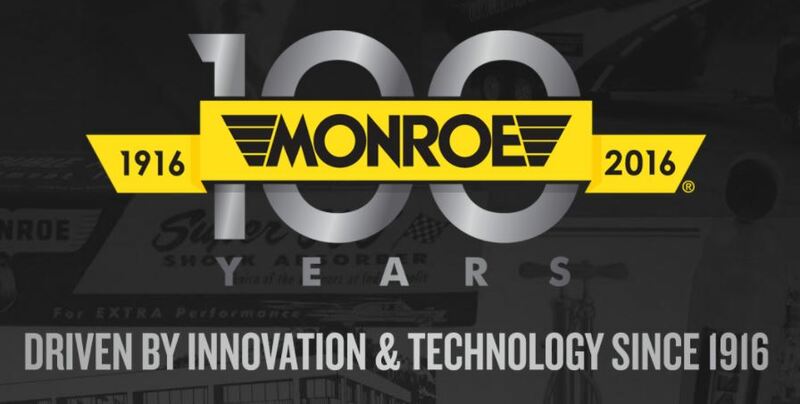 The Monroe spirit of innovation was already hard at work when the company perfected the first self-oiled, single-barrelled tyre pump. Sales climbed from 5,000 per week to over two million a year.